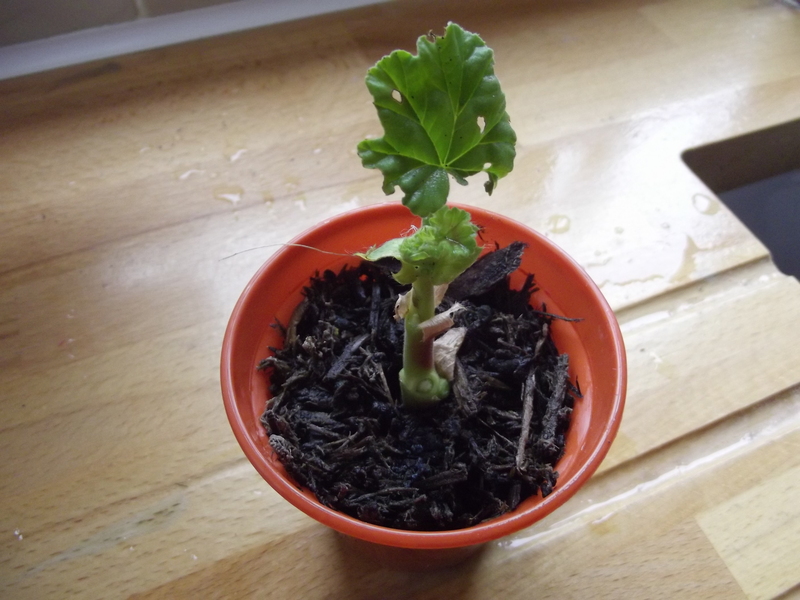 Propagating geraniums – how to take geranium cuttings. 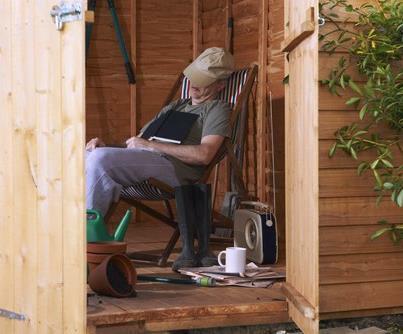 Picture of man in shed from the internet. 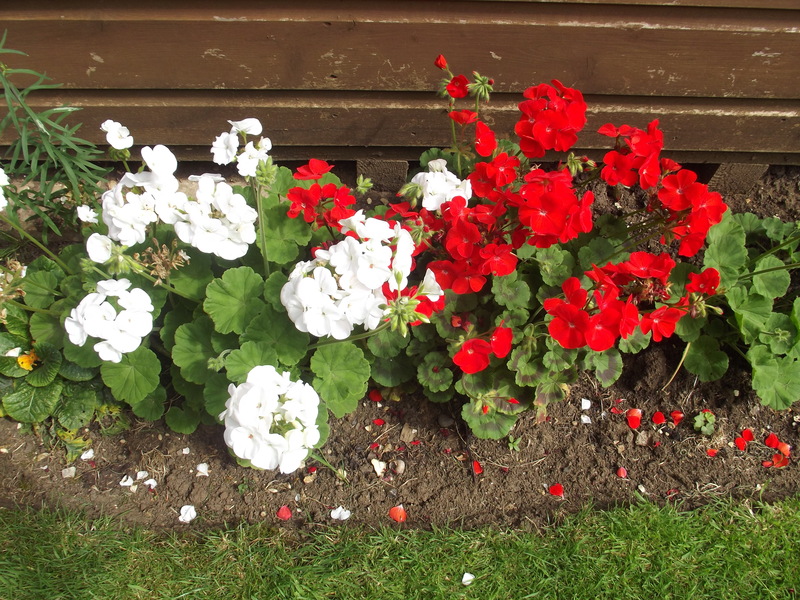 The geraniums in the tub below are beginning to look a bit tired. Time to take cuttings. 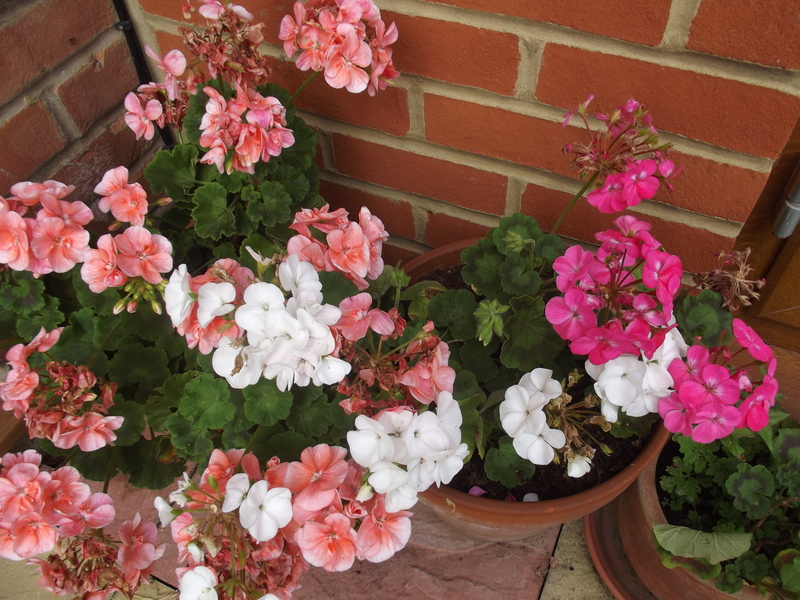 I decided to start with the red one in the pot. Look at the next picture. 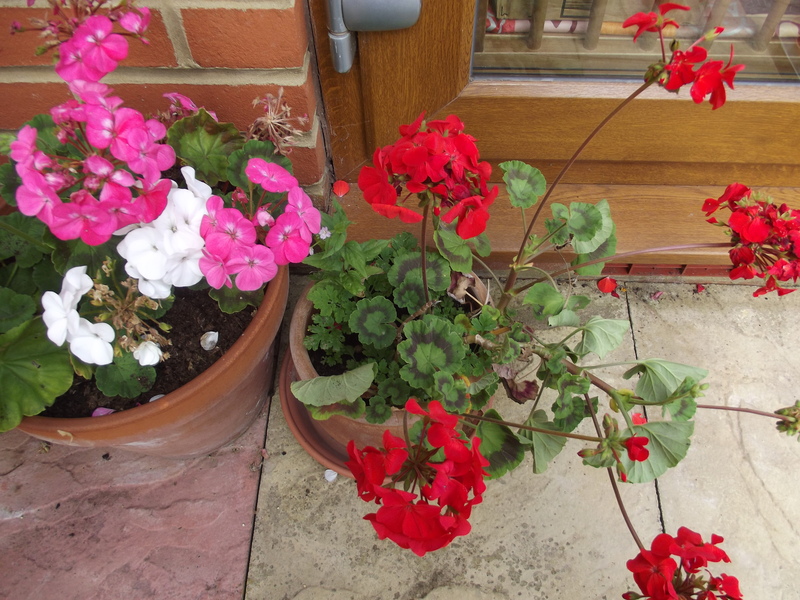 Can you see the larger stalk on the right of the red geranium? That’s the one I’m starting with. 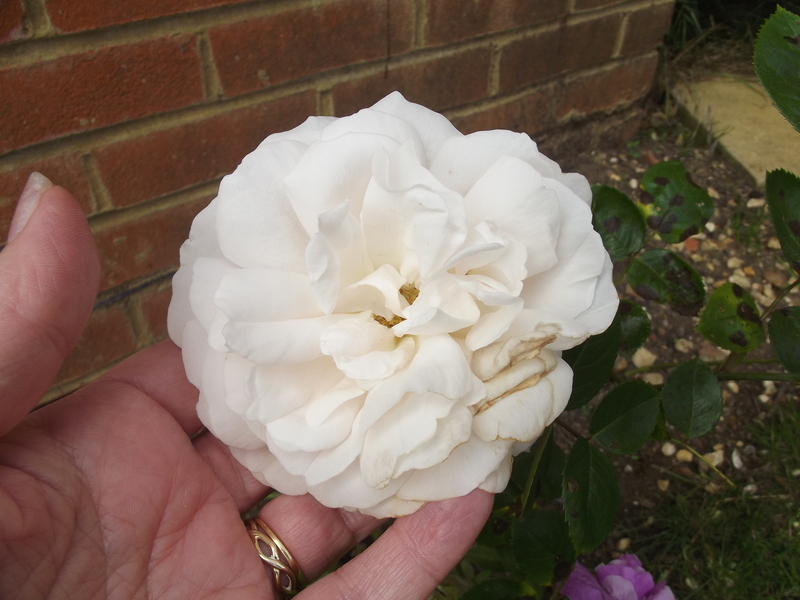 Cut it off with your secateurs, just below a growing tip. See next picture to make sure you know what I mean by a growing tip. 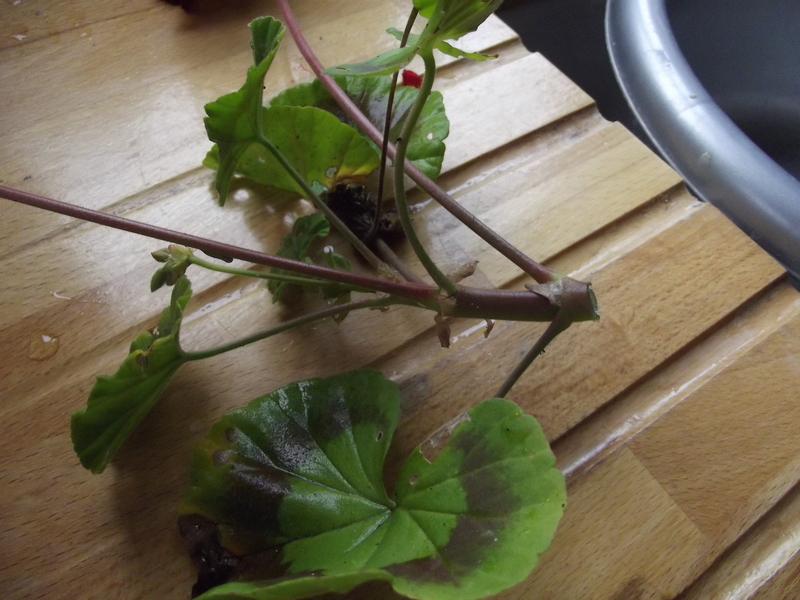 Now remove and discard all the lower leaves and any flower stalks that are still apparent. 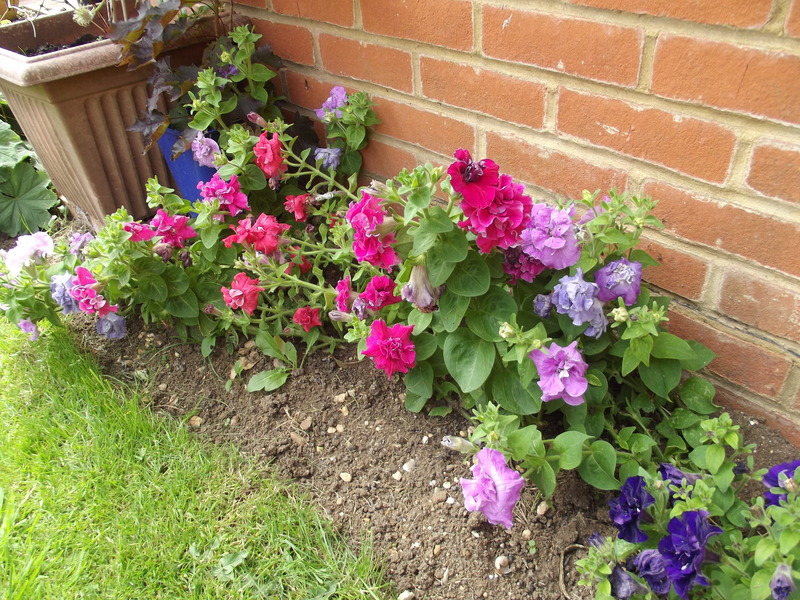 If you do this then the growth will go into the making of new roots and not into the production of more flowers. The larger leaves would die anyway so they need to come off. Now you are left with a perfect cutting. This will become a new plant, which you can put in your border next year, but you have to keep it indoors all through the winter. Find your compost. I put mine in a large blue tub, which doubles up as a play piece for my grandson when he comes round. He loves to dig in here and it is relatively free from germs. 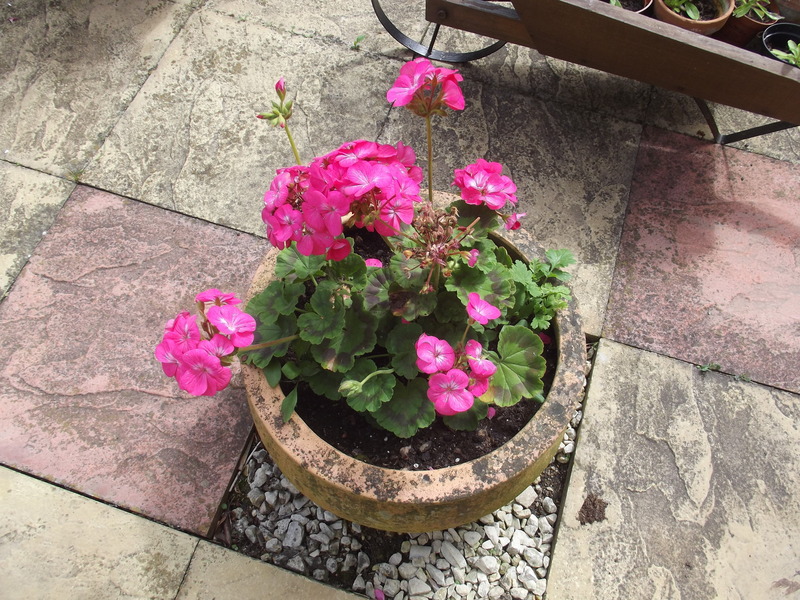 Put some of the compost in a small flower pot. This one is a four inch pot. 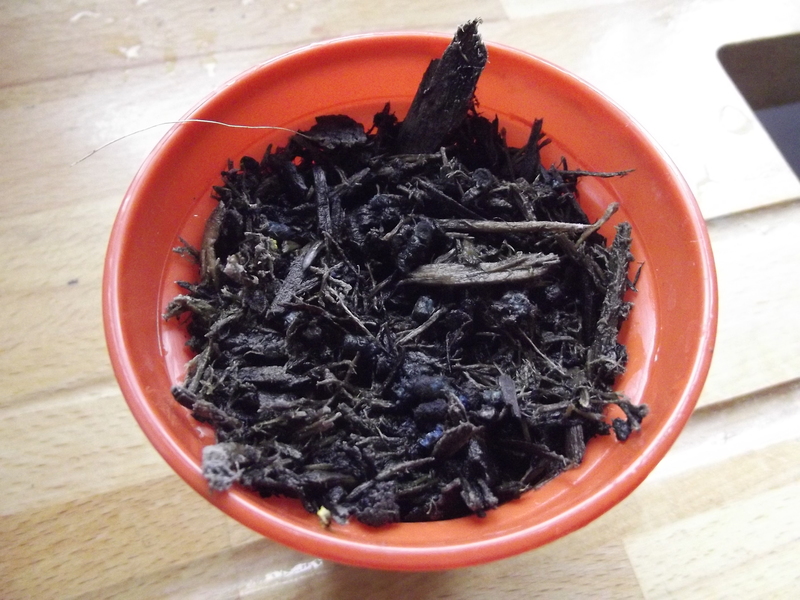 Incidentally this is not very good compost. I bought it in the Supermarket and it was cheap, but it is quite woody and not ideal for this job. 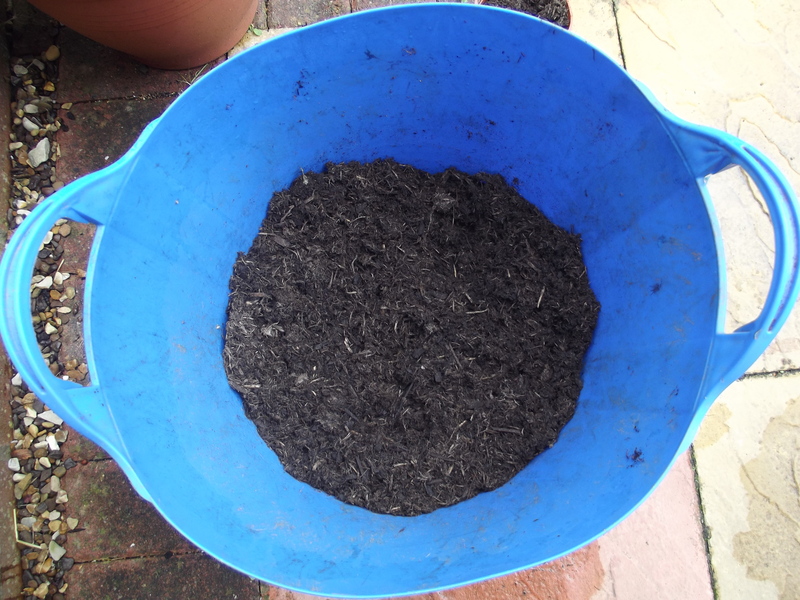 The best compost is John Innes no. 2 which is a much finer compost. However I’ve put it in here so you can see the difference. 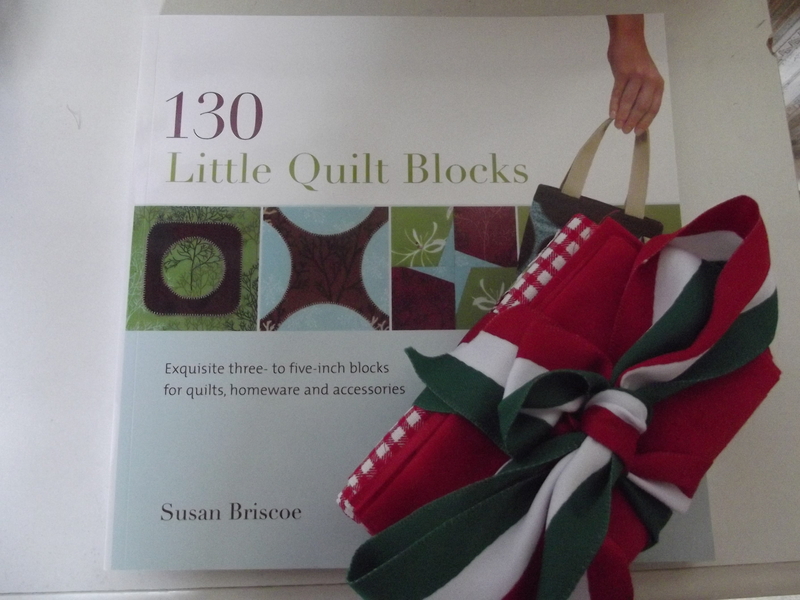 This would not be suitable for sewing seeds into. 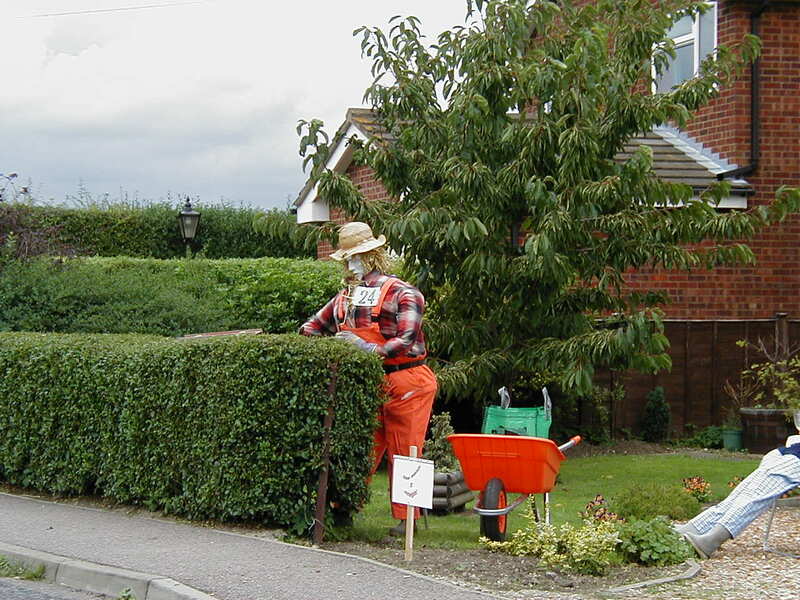 For that job you would need a much finer compost. 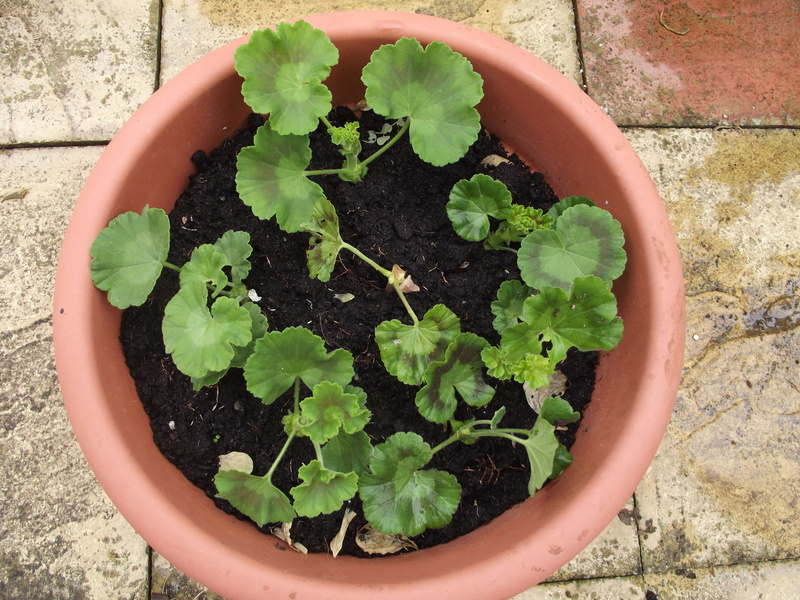 Poke the cutting into the compost in the pot until the growing tip is covered. I’ve left this one a bit proud so you can see what I mean. You will need to poke it in further than this one. Notice that a caterpillar has had a chew at this leaf. 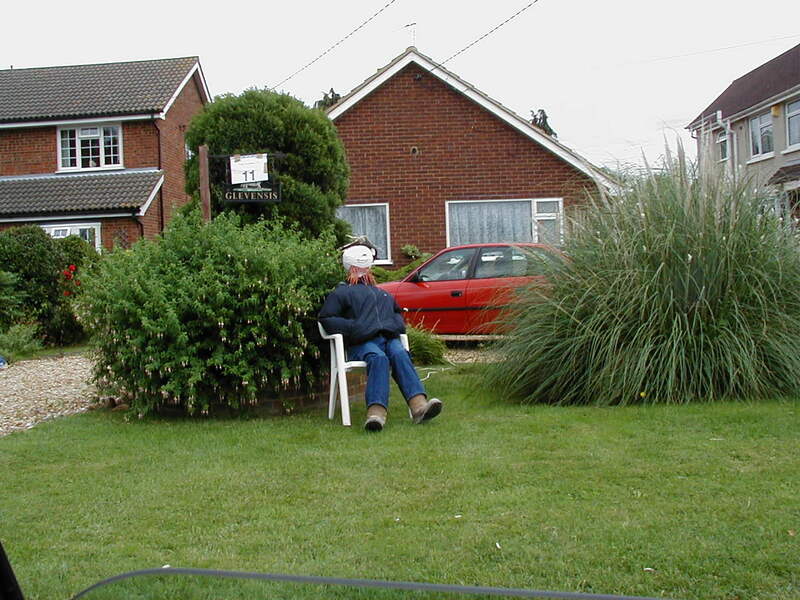 Make sure he’s still not on the leaf when you plant the cutting (for obvious reasons). This morning I did several. 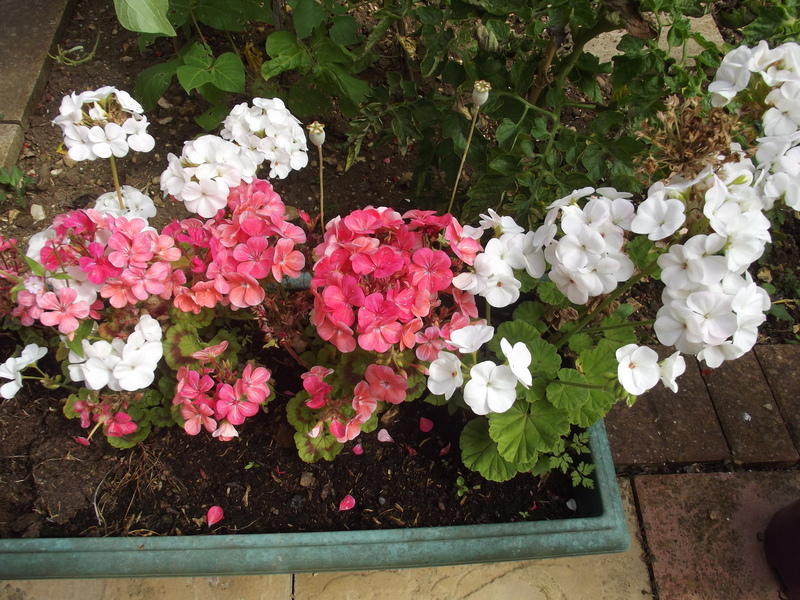 I planted them together in a tub in the garden. 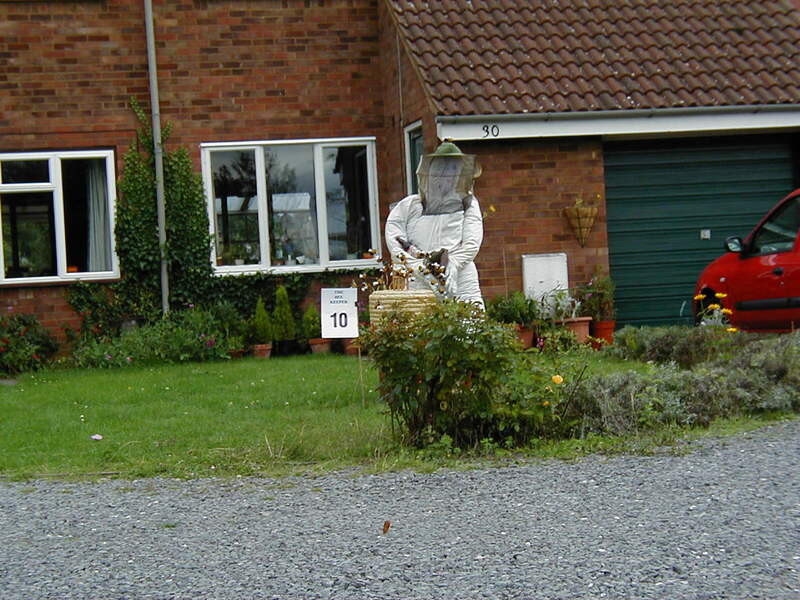 They should be fine in there for another month and will benefit from the sun and the rain. It will also make them hardy. When I come back from America in mid October, I will take some more pictures of these cuttings so you can see how they’re doing. 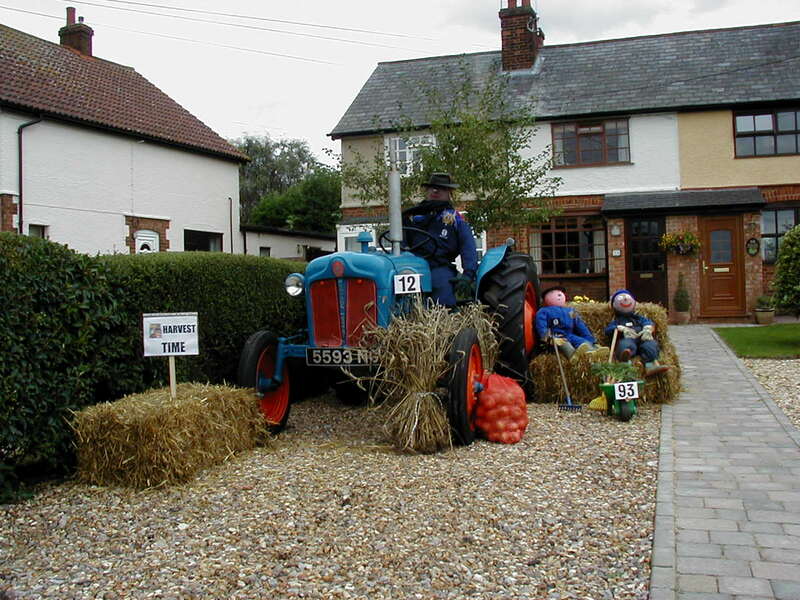 By then they will need to be put in pots and brought indoors before the first frosts arrive. In the tub I have a selection of white, red, pink and peach cuttings. It will be interesting to see which ones do the best. 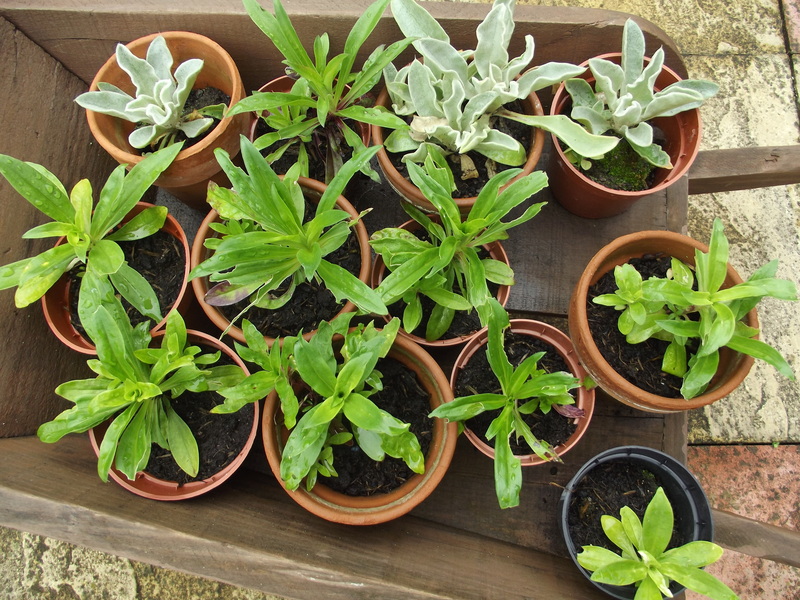 These are cuttings of lychnis and Sweet Williams. I’ll talk more about them another time. 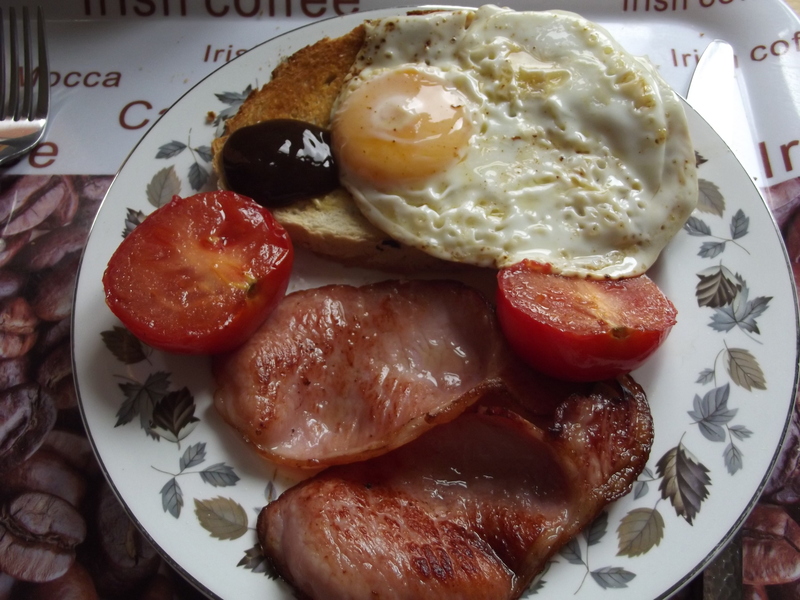 After all that work, I reckon I deserved a nice lunch so I went into Oma’s kitchen and made myself a fry-up. Yummy! 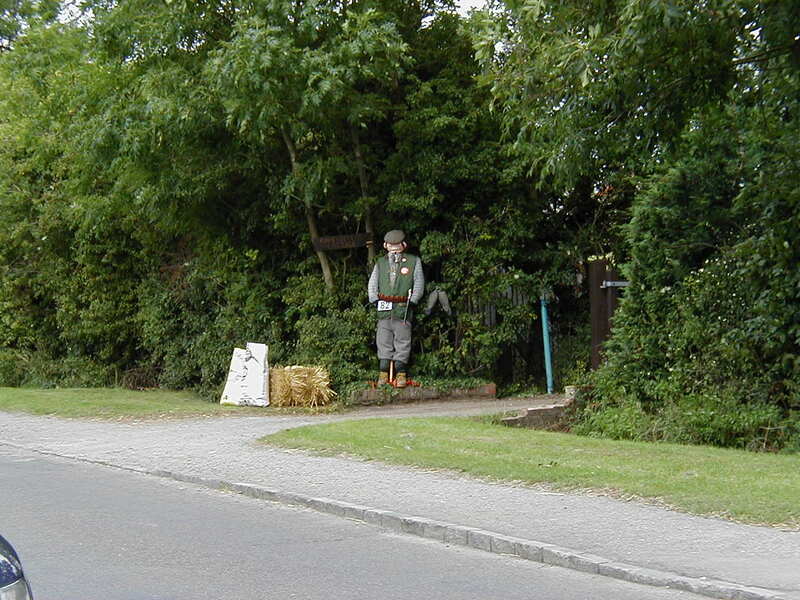 In the village there are scarecrows, so you’d better watch out. 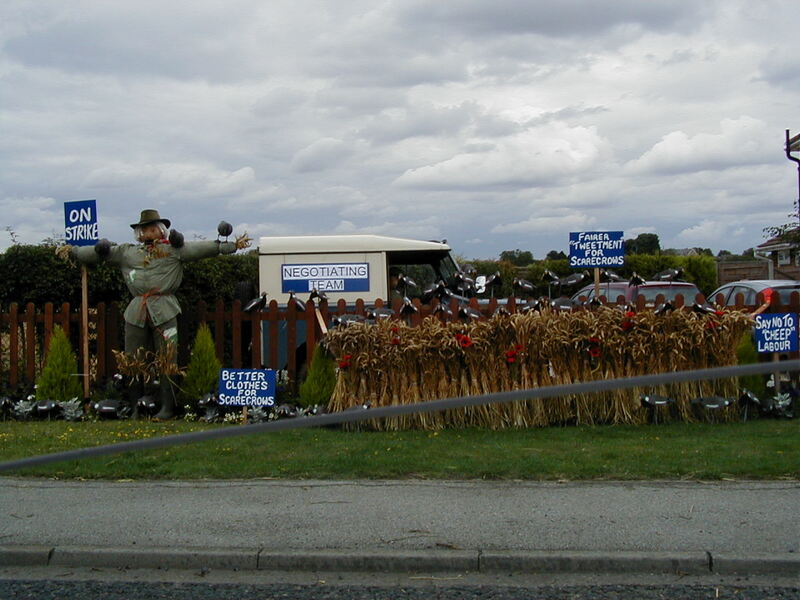 You never can tell when one of them will pop up and give you a fright! 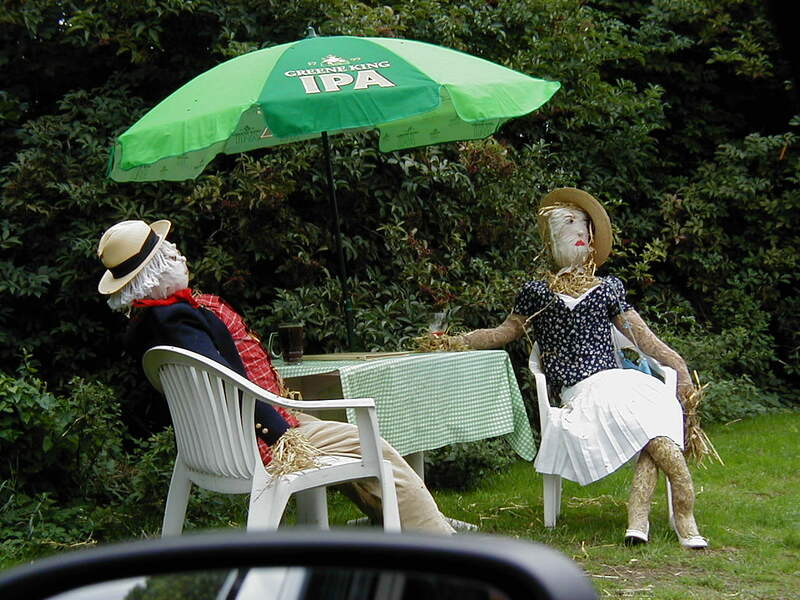 It’s hard to tell which of the people are real and which are not! Some are jolly happy people and some are not! Some are lazy and prefer not to chat! Tough your head, jump up and down. 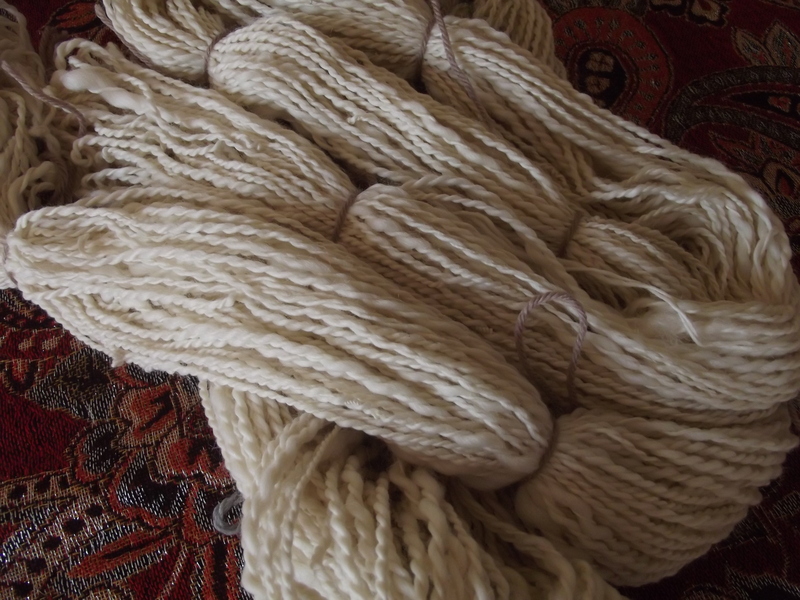 I’ve been spinning up a storm this week and now have enough of this cream-coloured merino wool yarn to make a garment. I always admire the yarns I see on Etsy.com but quite often there is only enough available to make a scarf or a shawl or a pair of socks. 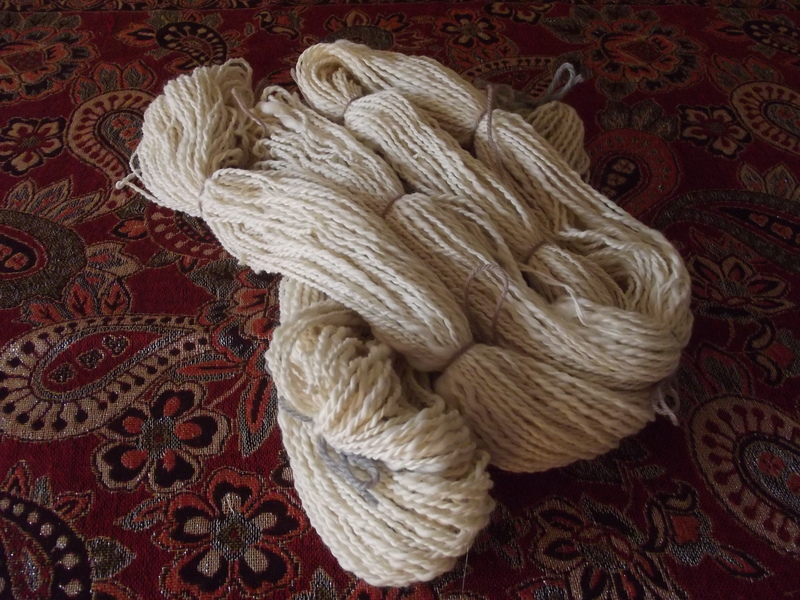 These days I prefer to make something a bit more substantial, which takes at least 500 gms of yarn. I haven’t decided what to make yet, but it will inevitably be something for the winter months because this yarn is so lovely and warm. 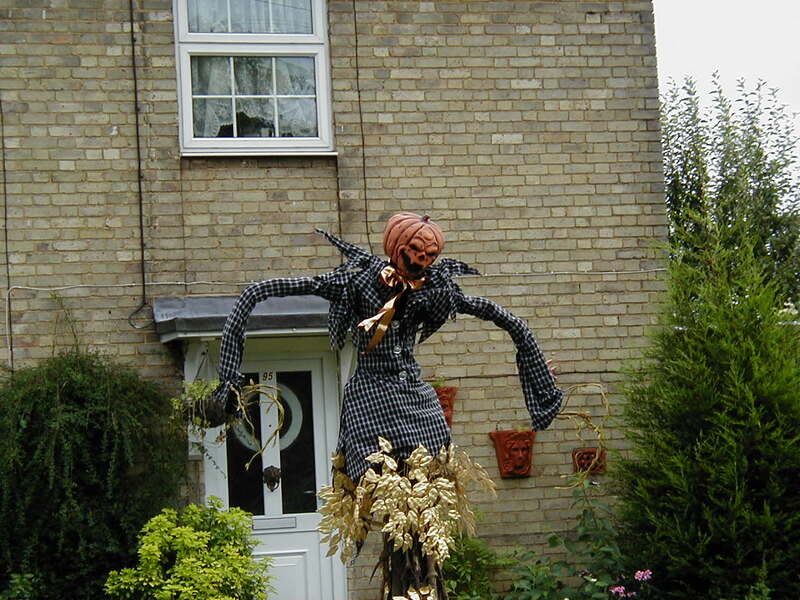 Already there is just a touch of Autumn in the air and when I get that feeling I start looking out my knitting needles and sewing kit and planning what I’m going to do during the darker evenings. 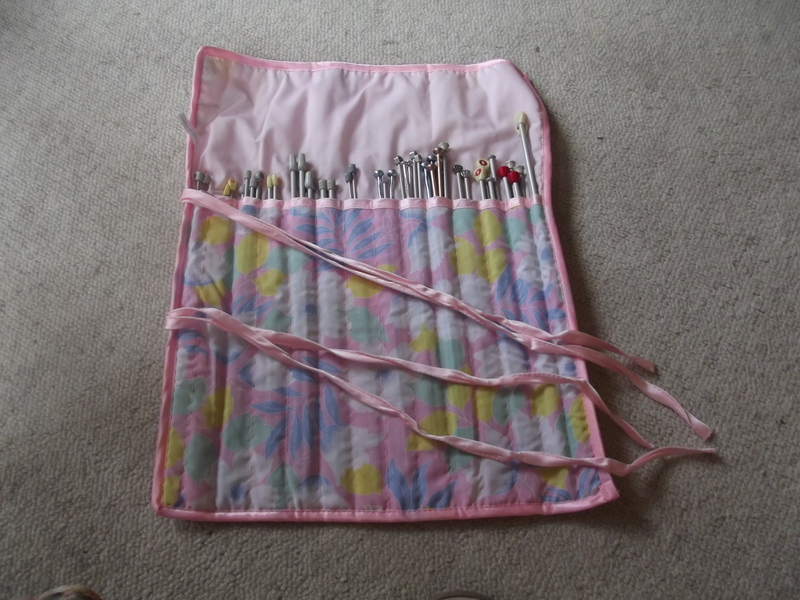 I have all my knitting needles in this handy hold-all, which can be used for coloured pencils too. 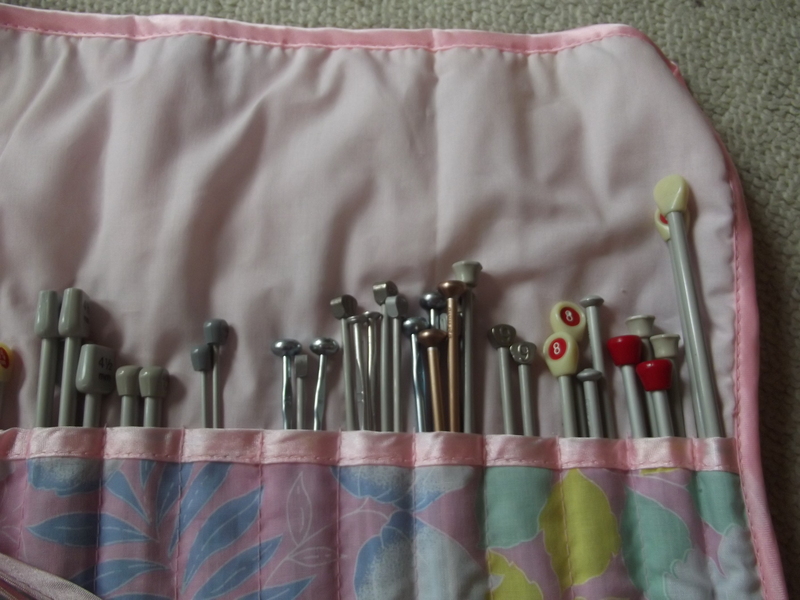 I love having them in here because I can find just the ones I want without difficulty. 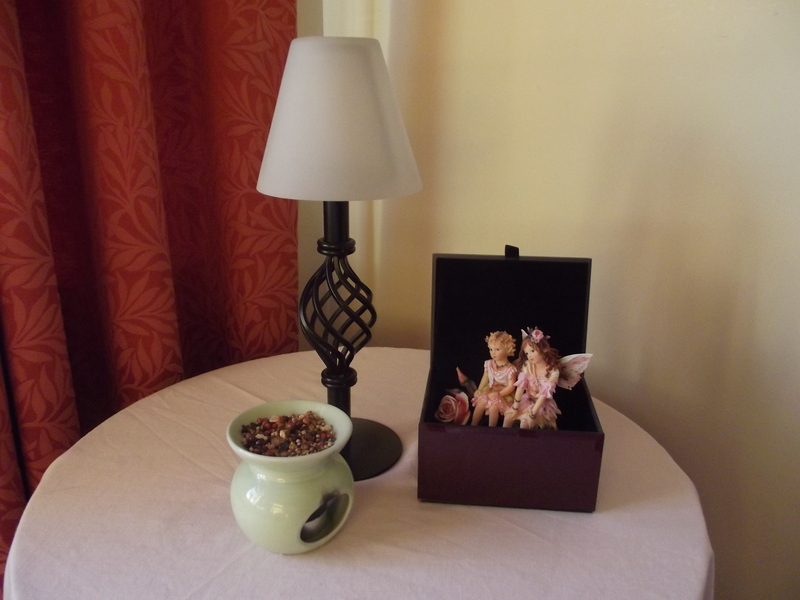 I have received a beautiful blogger award from Tamara at My Botanical Garden. I would like to thank Tamara and also pass on my award to 7 more bloggers whom I admire very much. 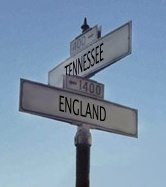 1) I live a double life, some in England, some in America. 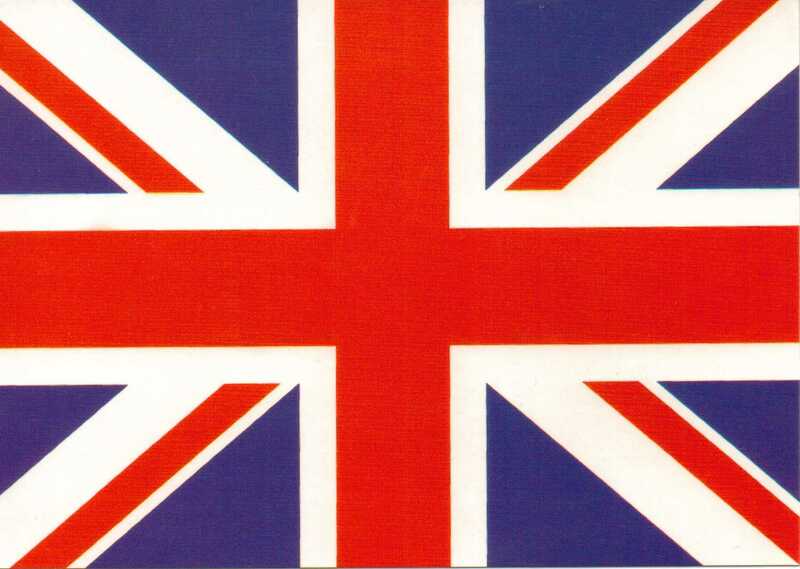 2)I am proud to be British. 4) My three favourite (famous) people are Jewish. 5) I write in different genres and have two pseudonyms as well as my own name. 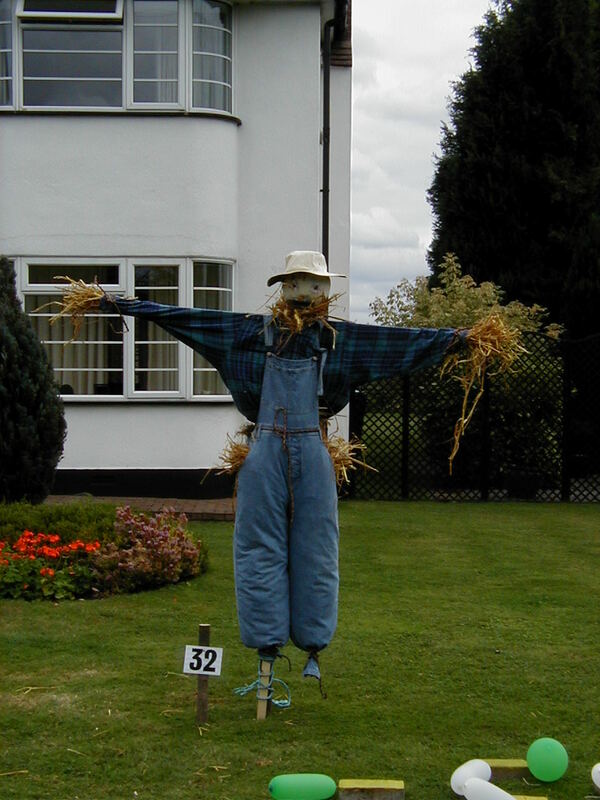 6) I am a pagan. 7) Music and art are very important to me. I once ran an entertainment agency. 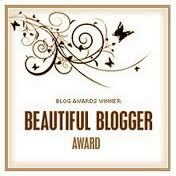 Copy the Beautiful Blogger Award logo and place it in my post. Thank the person who nominated me and create a link back to their blog. 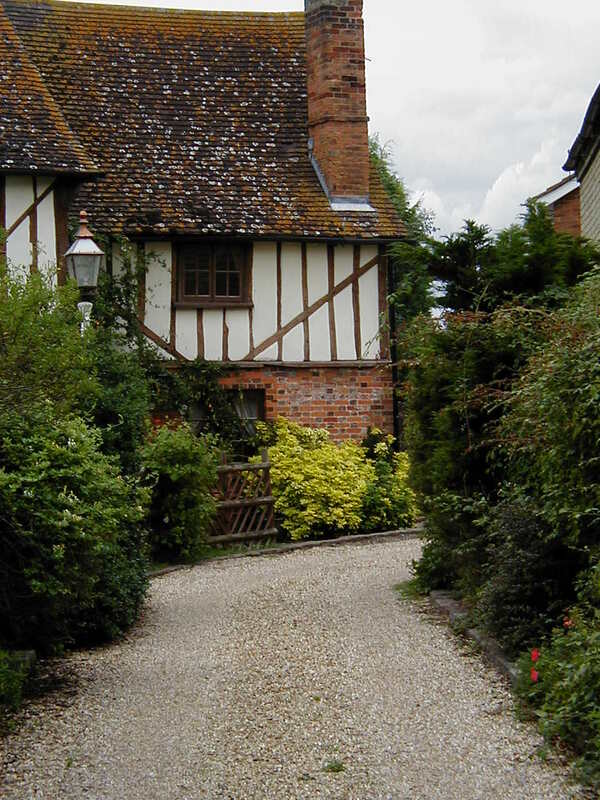 Why not visit some of these blogs and enjoy sharing a little glimpse of an interesting life? 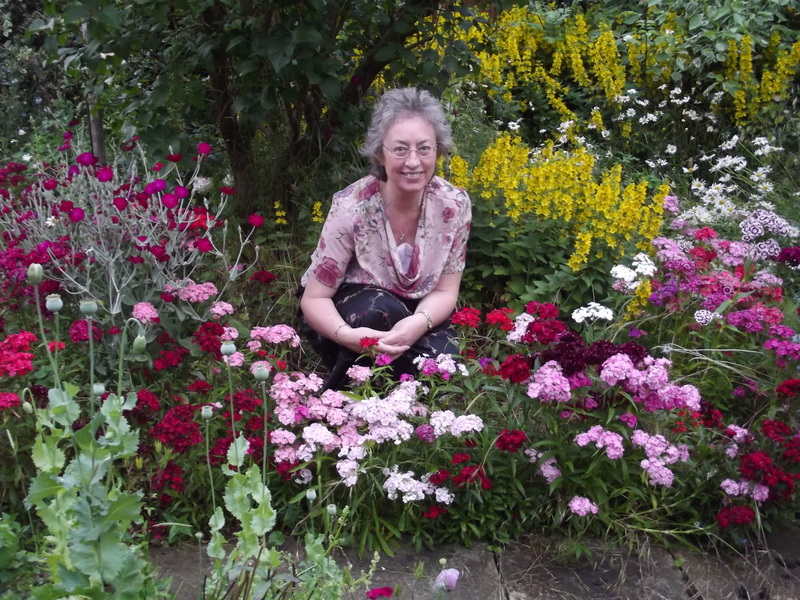 In the garden with Oma – time to take cuttings! I always take my cuttings in August so now I need to get busy. 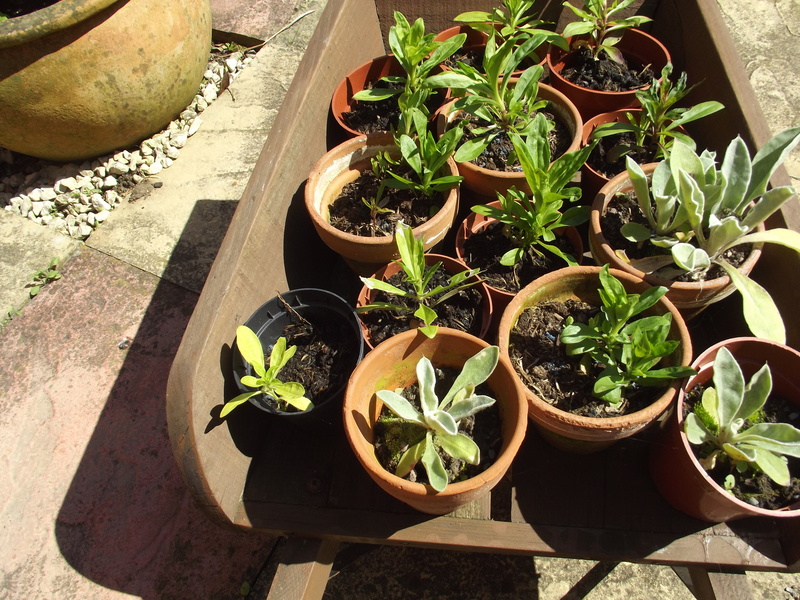 I’ve already taken some Sweet Williams’ cuttings and they are doing very well. 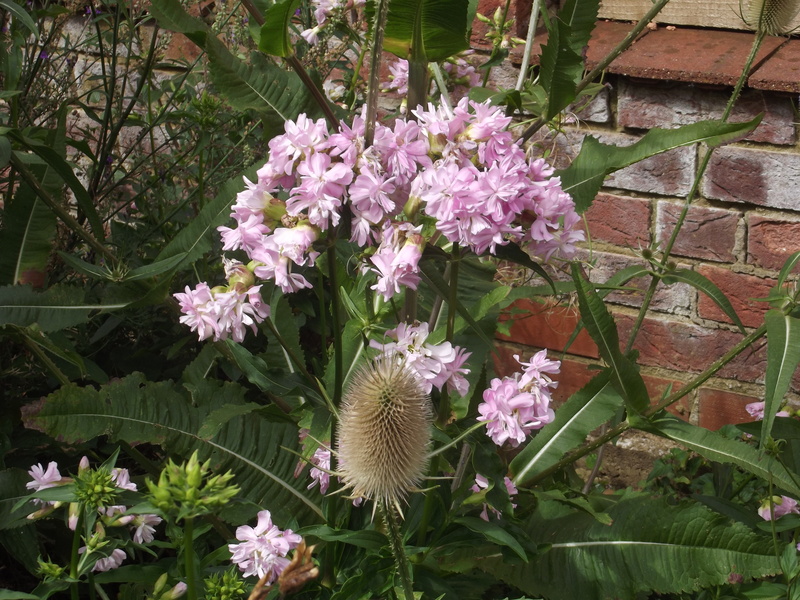 The lychnis too are fine but I have yet to get stuck in to plant wallflower seeds for next Spring. 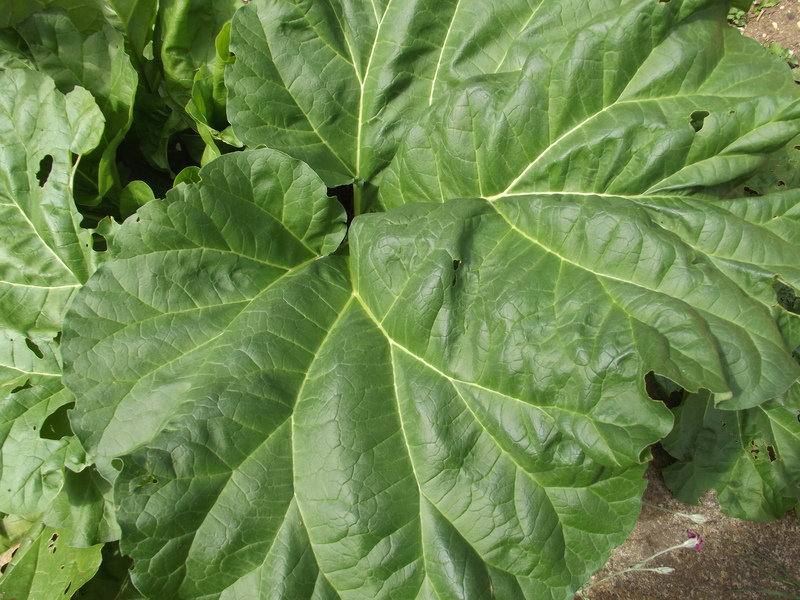 Just look at this rhubarb leaf! I don’t exaggerate when I say it’s as big as an umbrella. If it started to rain, I could stand underneath it and keep dry. The phlox are in full bloom just now. They are so pretty and so prolific and welcome at this late summer time of the year. There’s a teasel in the bed too, cheeky! This pretty pink rose is an old timer. It’s been with me in the garden for a very long time. So long that I’ve forgotten what it’s called! 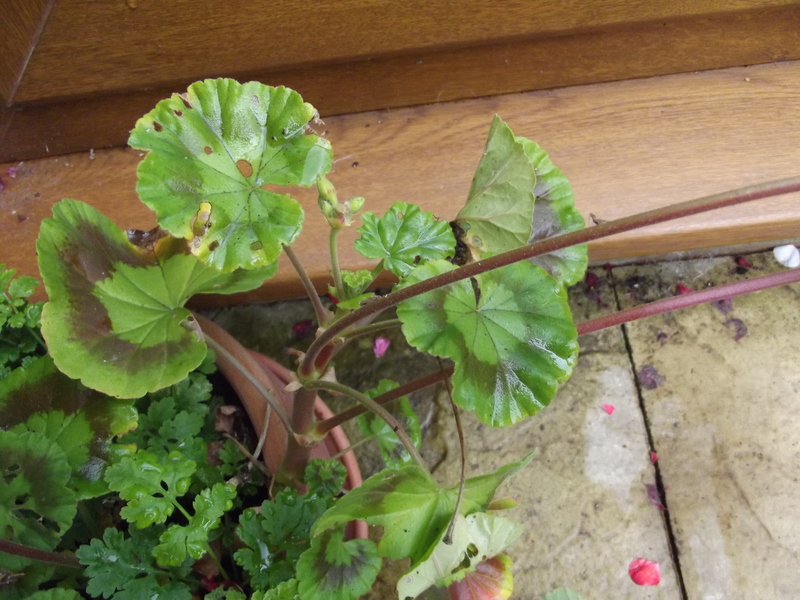 This year it has thrived, other years it hasn’t done so well and I’ve threatened to dig it up, but I never do. 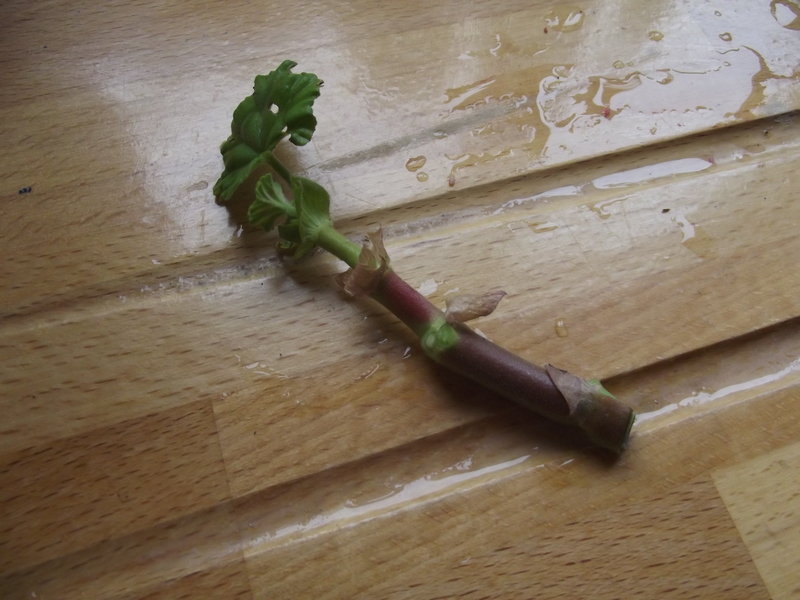 Now back to my cuttings. Must get on and do them NOW. Once or twice a week we have a cheese meal at the cottage. 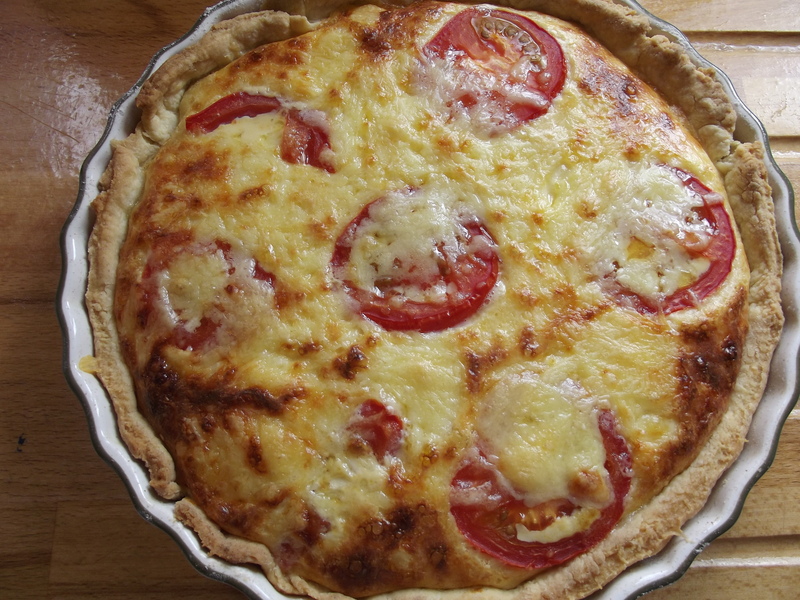 Today’s recipe is for cheese flan, as it used to be called or the more modern form – cheese quiche. There are lots of variations of this dish. This is the basic one. 1lb of short pastry, made up. 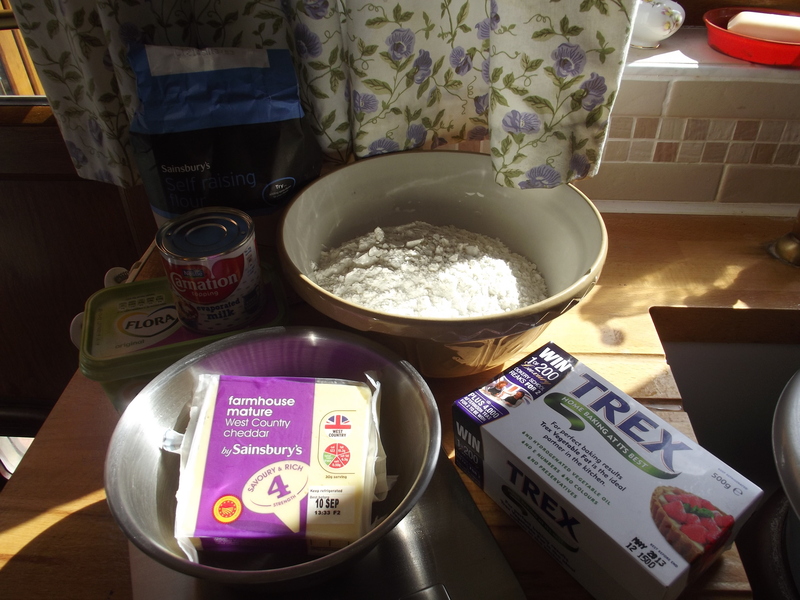 I make my own pastry using self-raising flour, Flora margarine and Trex shortening. 80zs mature Cheddar cheese (American people can buy this in the foreign section of Food City. Kerrygold do an aged cheddar, which is very nice). 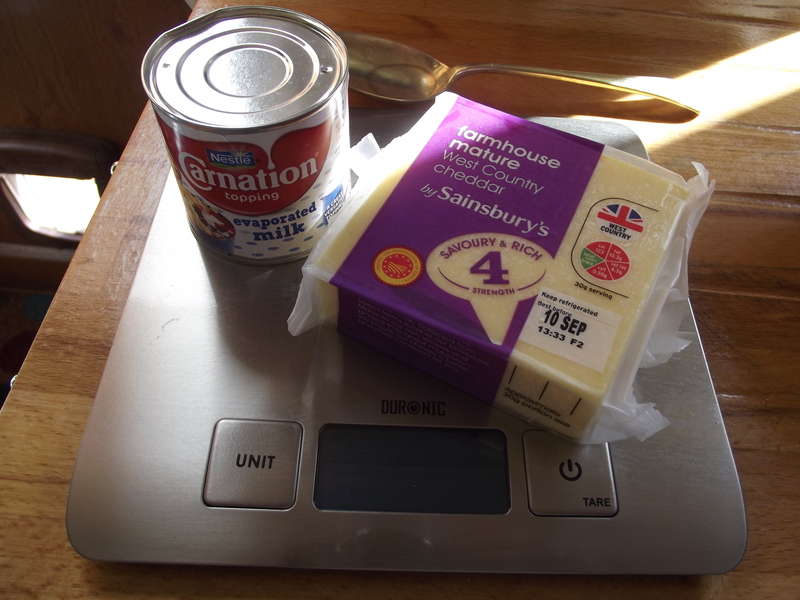 Small tin of evaporated milk (or half a large tin). 2 eggs. I use medium size. Have you noticed how thin the tins are getting these days? It’s hard to find one that is easy to open now. Make a lb of pastry and leave in the fridge to cool for 20 minutes. Meanwhile light the oven and set to hot. By the time you’ve made the filling, the oven will be just the right temperature and the pastry will be just right, ready and waiting for you in the fridge. (ice-box). Grate the cheddar cheese, keeping back 2 ozs to sprinkle on the top of the flan. 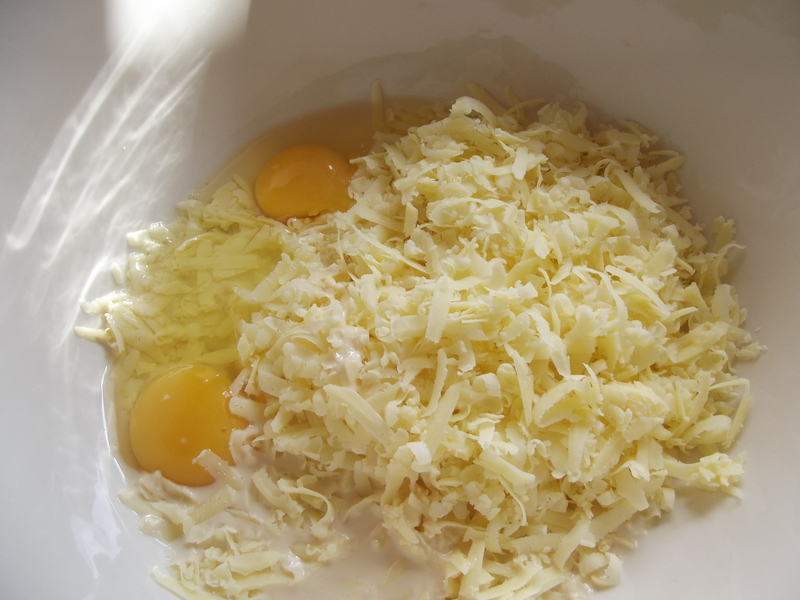 Put the grated cheese in a medium sized bowl, add the two eggs and all of the evaporated milk. 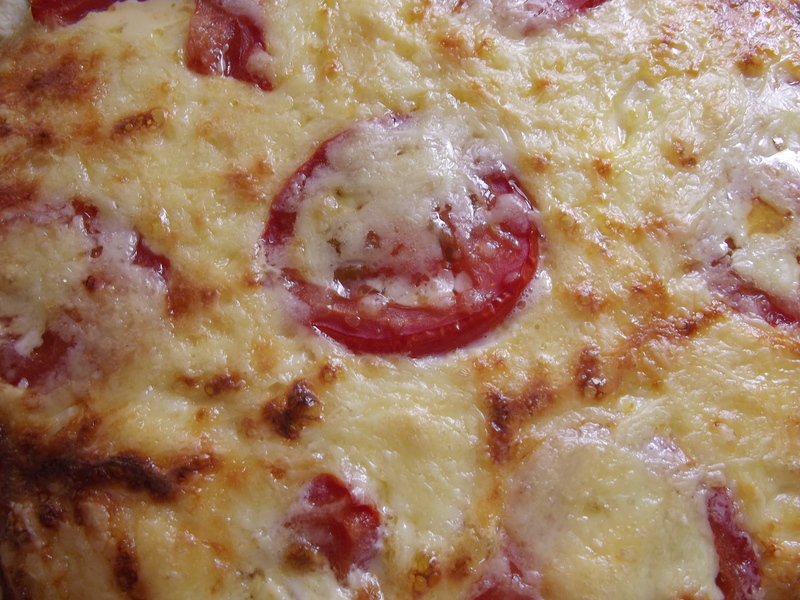 Slice a tomatoe fairly thinly and set aside until later with the 2 ozs of cheese. 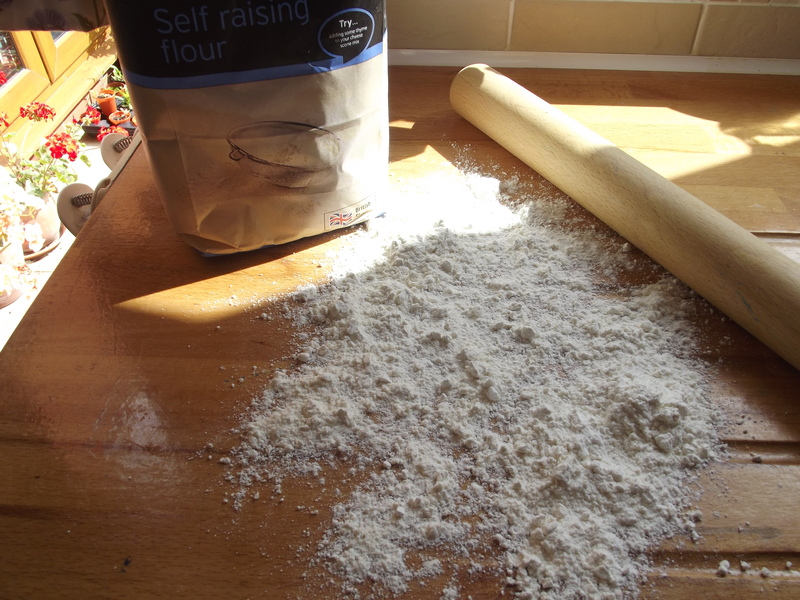 Take the pastry out of the fridge and roll out a third of it. That should be enough to line the base of a medium sized flan case. Line the flan case and trim the top edge with a sharp knife. 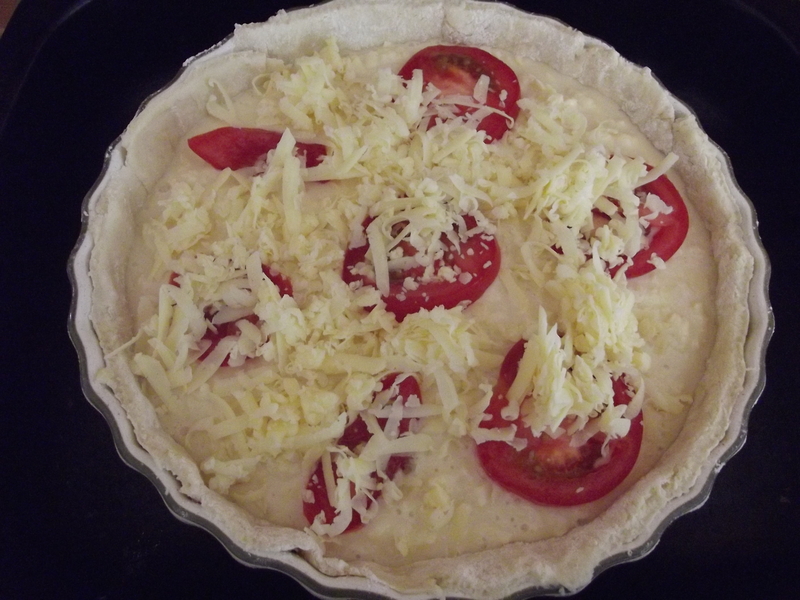 Pour the filling into the flan case and lay the tomatoe slices on top. 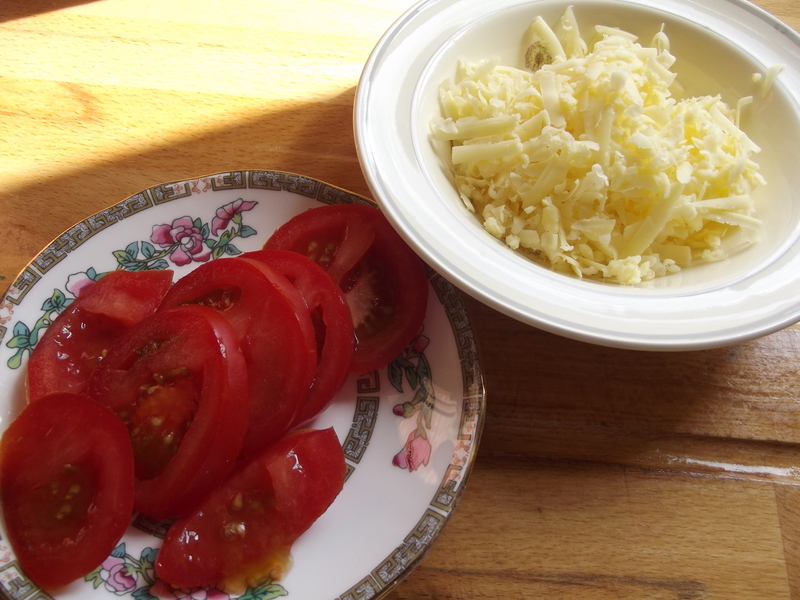 Sprinkle the remaining 2 ozs of grated cheddar cheese on top of the tomatoe. 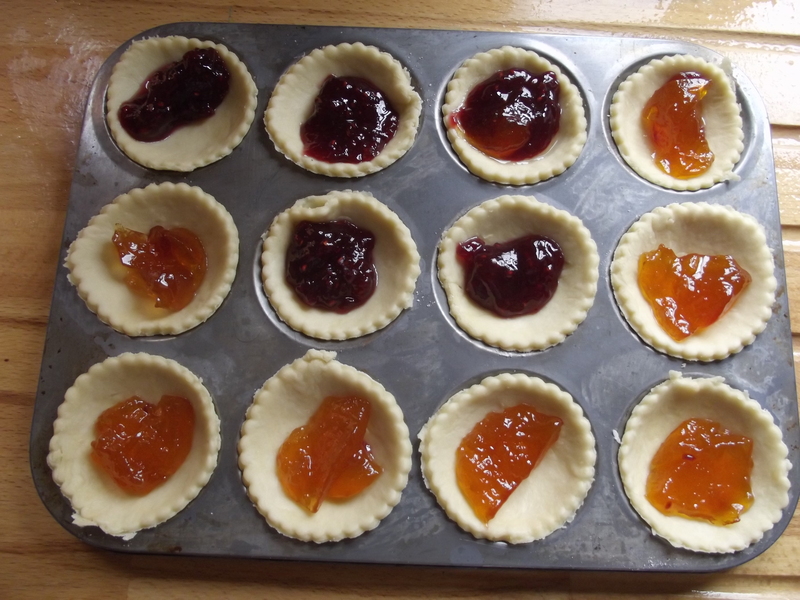 There will be enough pastry left over to make a meat pie (recipe coming another day) and a batch of jam tarts. Cook the flan at the top of a hot oven for 30 minutes. Test after 25 minutes. Take the flan carefully out of the oven and give the flan case a slight shake (note: slight). If the flan filling is under-done in the middle, it will wobble a bit. If it does, put it back in the oven for the last 5 minutes. 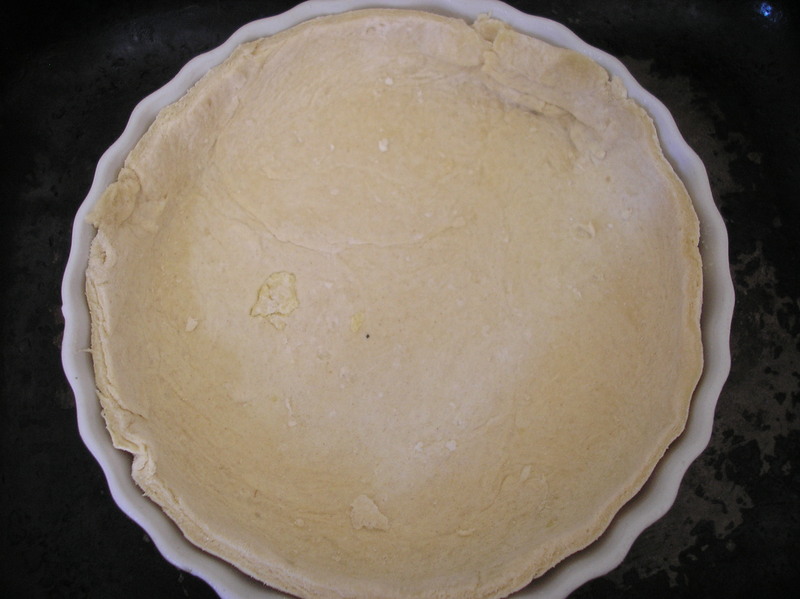 If the filling is firm in the middle, the flan is done. 30 minutes does it for me. I use Gas 6.Your oven might be different. I usually turn off the oven after the flan is done, but leave the flan in the oven. That sets the filling for sure. Make sure most of the heat has escaped from the oven before you do this, otherwise the flan will keep on cooking and may even burn. Let’s take a closer look, Yumm! 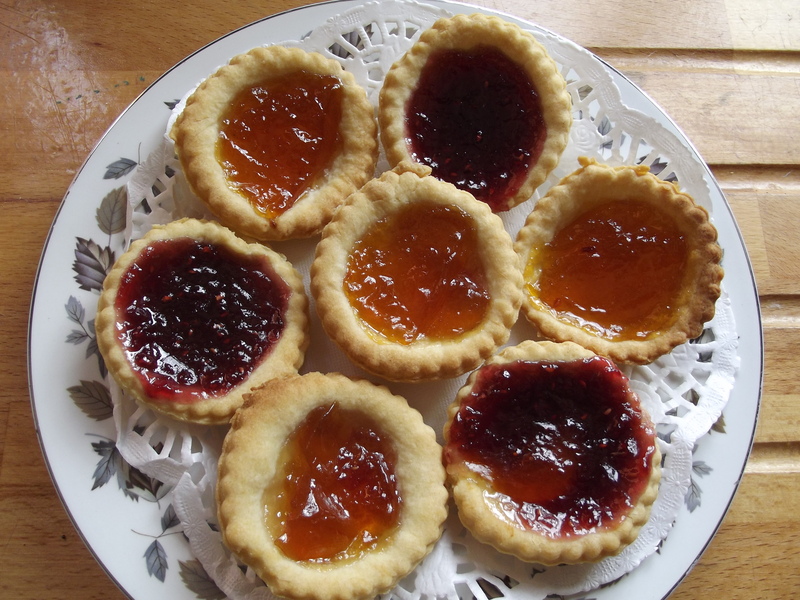 The jam tarts will be perfect for tea tomorrow. 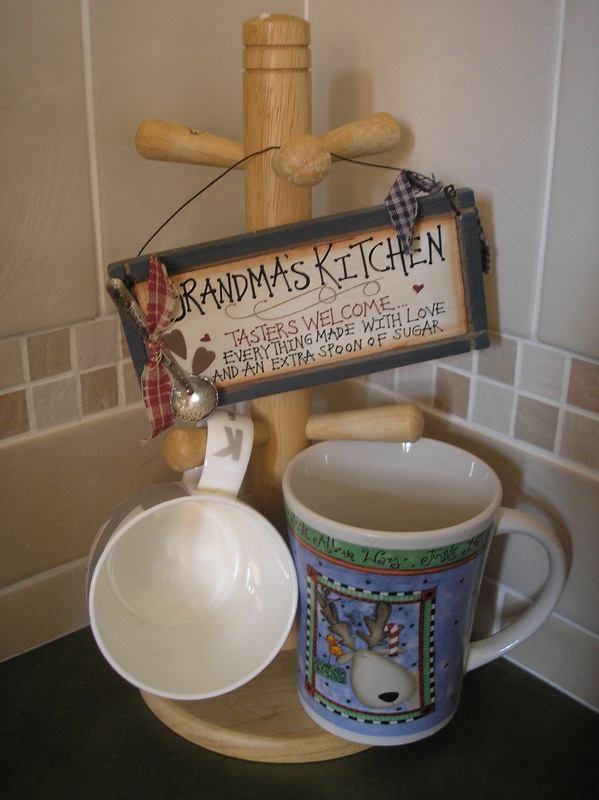 This is another recipe from Oma’s kitchen.